It was your typical Friday night. An evening stroll with baby had led us to Crust, the local pizza eatery. As we head home David suggests that we take a peak into newly remodeled How Art Thou Café. We've heard that this is the spot for local jazz music, but being new parents we are rarely out past 7pm. In our pre-parent days, we would often end evening bike rides here to have dessert and tea outside. As we peek inside, we recognize jazz great Richie Cole. I swoon and feel slightly embarrassed that I am in workout clothes, no makeup, and smell of baby spit-up. We are introduced and find him to be absolutely delightful. I'm running through justifications in my mind to keep my baby out past her bedtime so that we can hear him play; music is stimulating for baby's brain, right? Alas, we must go, but not before promising each other that we will see Richie perform before he leaves the Lowcountry. Baby Ruby meets Jazz Great Richie Cole. 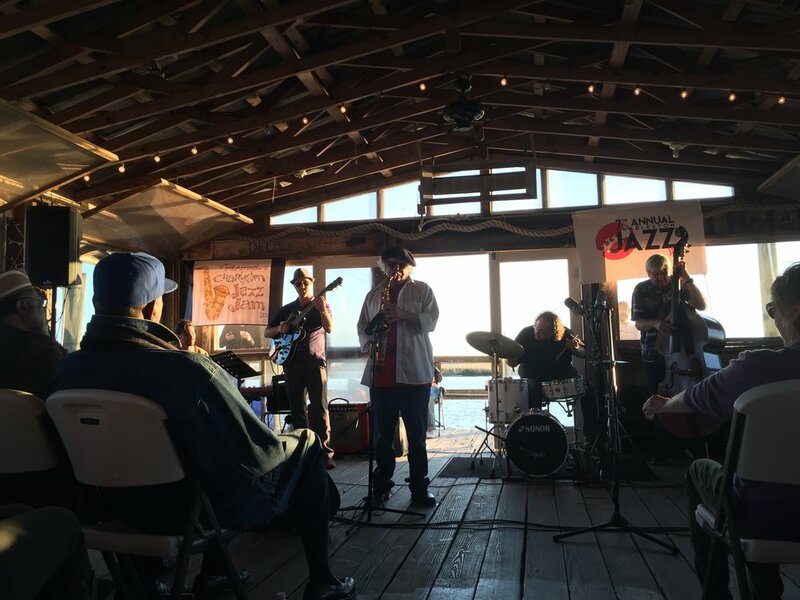 We decided to make a trip out to Bowen's Island the following Sunday for the 7th Annual Charleston Jazz Jam to catch Richie Cole's performance. The weather was gorgeous, the bugs were at bay, and our seven month old baby was mesmerized. Food was provided by the always delicious Home Team BBQ and drinks were flowing from Coast Brewing Company. 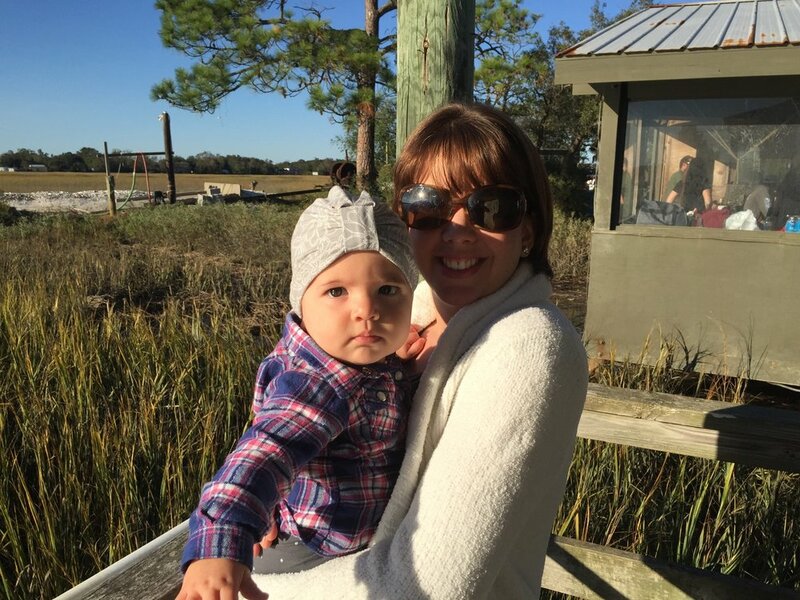 Just when you think that you have seen all that the Lowcountry has to offer, you stumble into another event, community of people, or little pocket of greatness. 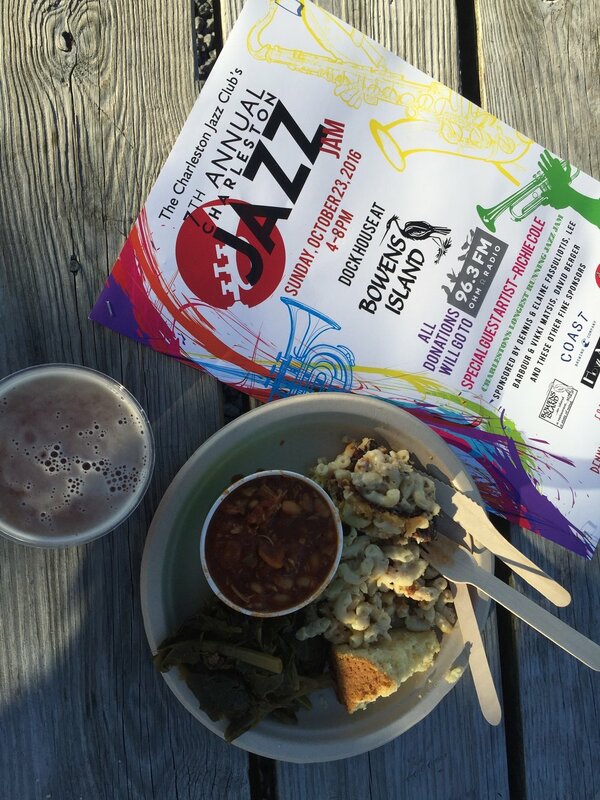 You can catch a Jazz Jam at How Art Thou on Wednesday nights and you will want to keep an eye on their events calendar. Once a month they will bring in a nationally recognized musician to perform. It is a small intimate space and just the place for an amazing date night. I think next month we will get a baby sitter and get jazzy with it!